If you’re selling an idea, a product or service, your success is going to depend on your swing. Tiger Woods was 3 shots behind Vijay Singh at the 2006 Deutsche Bank golf tournament. The night before the final round he called his coach for some advice. He knew he wouldn’t beat Singh unless he improved his game. His coach watched Wood’s performance on a TV replay. He advised him to work on his backswing in the mirror for 30 minutes and then his downswing for another 30 minutes. Woods worked on his swing for 2 hours that night. He then got up at 2 a.m. to work on it for another 90 minutes, and did another hour of mirror work before he left for the golf course in the morning. Woods beat Singh by 2 strokes and picked up $990,000 in first prize money. In the end how did Woods beat Singh? He worked on his fundamentals, he worked on his swing. 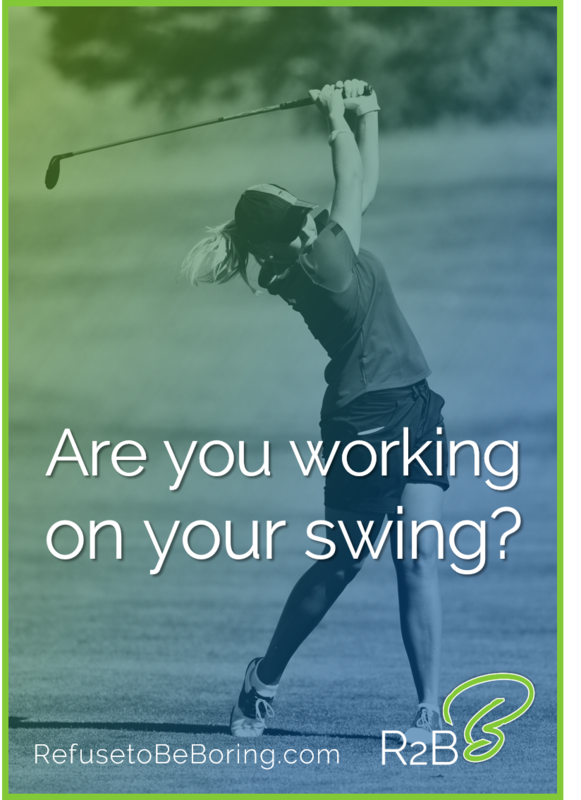 Your success in selling products, services or ideas is going to depend on your swing. The golf swing is the fundamental skill of a professional golfer. The fundamental skill of a business professional is communication. Presentations are one of the most common and most potentially impactful communication techniques. Presentations are a key component of your swing. Philips CEO Frans Van Houton once said, “To move toward growth, we must break free from the constraints of the past.” I believe this is true for any business professional. To grow you must break free of the past. The traditional presentation style, with it’s bullet list slides, is from the past. The traditional style is a throwback to the 1940’s. When the overhead projector was invented. These presentations have visuals full of text and no clear structure or message. This style of presentation is often completely forgettable. But to be effective, presentations must be memorable. Modern communication styles have proven to be more memorable and therefore more persuasive. The goal is to have the greatest impact from the limited communication opportunities you get. We all know it’s a competitive world out there. Business professionals must always be getting ready for the next opportunity.